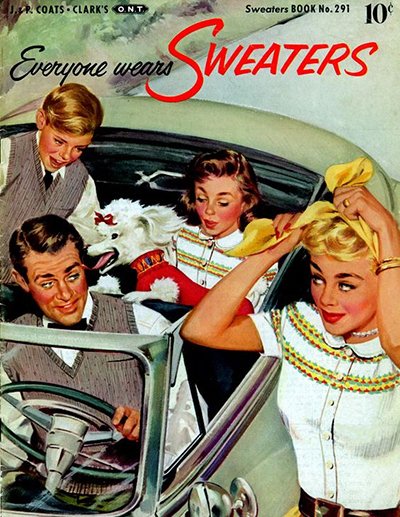 In the depths of winter, it’s wise to wear a sweater for warmth. It’s my favorite time of year, because I get to layer on all my lovely cardigans and fuzzy knit tops. 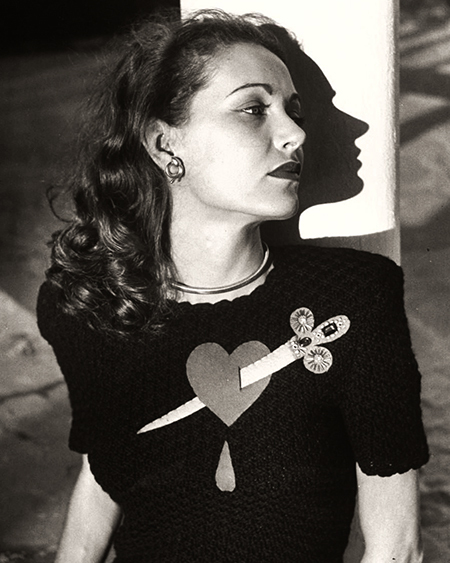 My holy grail, though, is the Schiapparelli heart and dagger design from the 40s. The motif is so bold, it is continued down onto the skirt. 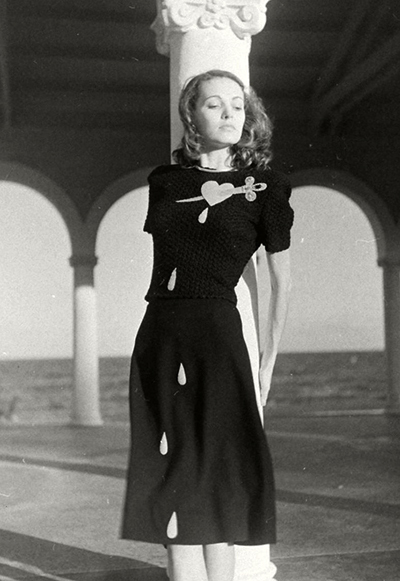 This set of photos by photographer Nina Leen showcase the sweater set. It came in white, too! Or cream…one can never tell with black and white photos. Best to purchase one in every available color! Notice the slightly different placement and angle to the dagger, and the addition of an extra drop of blood. 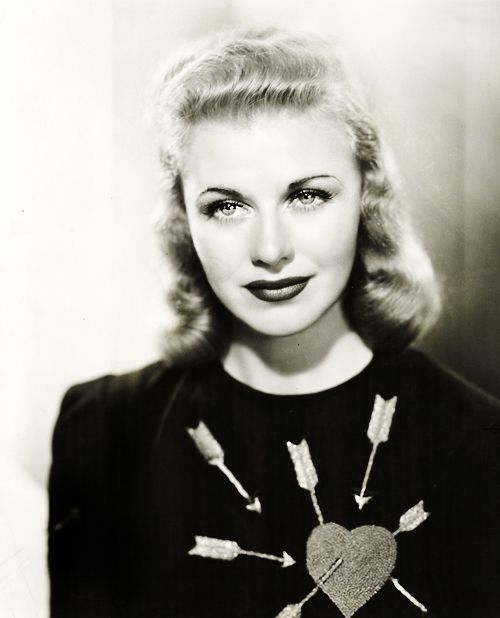 I am envisioning a troop of nimble fingered ladies stitching away, thinking of long lost lovers that did them wrong. 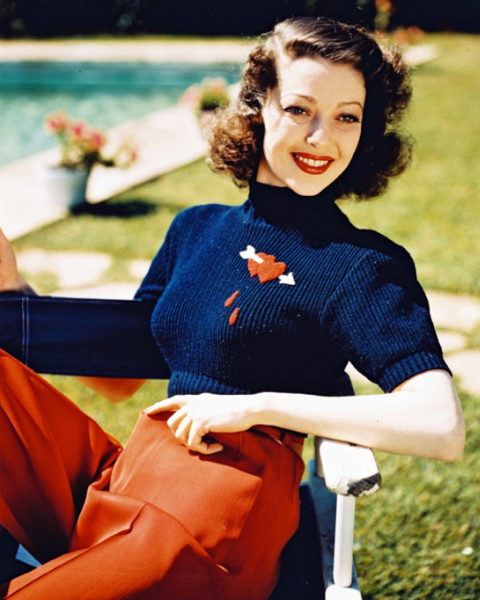 The lovely actress Loretta Young shows us a little of both, with cupid’s arrow and a little drop of crimson. As they say, sometimes love hurts. 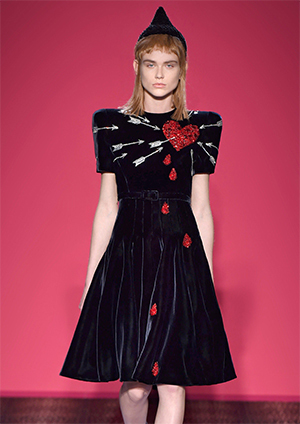 The house of Schiaparelli brought back the original for their 2014 line. This time the applique is in sequins, with far more coverage and too many arrows. We can’t all have Elsa’s design sense.